In December 2018 I visited three countries in the Persian Gulf, الكويت (Kuwait), البحرين (Bahrain), and قطر (Qatar). I had only scheduled a couple of days for each country. These countries are so small, you can see everything worthwhile in that time. I organized the whole trip myself through Expedia and booked excursions with local tour operators. Getting into Kuwait was an ordeal. I had to wait a full hour to get the visa. If you apply for the e-Visa, the process would be faster. I had booked a limo for transportation to and from the hotel through Auto World Drive. That didn't work at all. When I got to the arrival hall, nobody was waiting for me. I called the number that I had, but they didn't understand me. I ended up getting a ride from the hotel. The return from the hotel to the airport also didn't work well. The drier apparently came to the hotel, was told that I had checked out, and left. Of course I had checked out, I was leaving after all. I called the driver and this time I reached somebody who understood me. It took half an hour for the driver to come back. That was not the end of the mishaps: The driver dropped me off at the wrong terminal. I had to take a taxi to get to the right terminal. I had booked a limo through the same company in Bahrain, where it also did not work out. I cannot recommend this company. 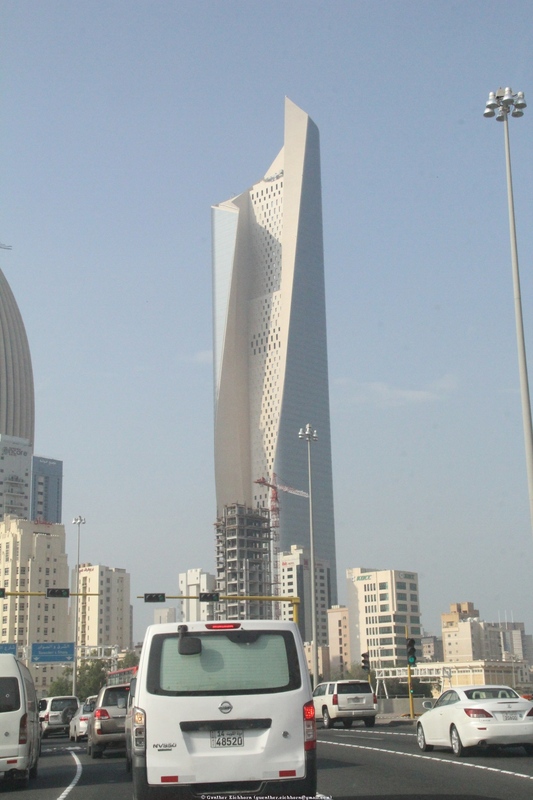 I had booked two private tours in Kuwait through a tour organizer Kuwait Tourism Services. This worked out well, I enjoyed the two tours. I saw basically all of Kuwait. Kuwait (like Bahrain and Qatar) is fairly expensive. Traffic is very heavy around the city. Like Bahrain and Qatar, the city is full of exotic looking skyscrapers. All of that has been built in the last 15 years or so. The city is safe to visit, it is like any metropolitan city. The main difference to other countries is the fact that Kuwait is a dry country, no alcohol allowed at all. 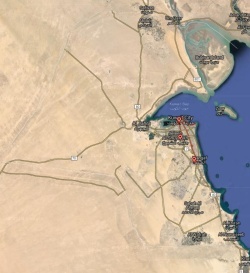 One interesting place that is worth mentioning is the Kuwait Oil Company Oil Display Center in Al Ahmadi. It gives a good overview over the geology of the oil, and the technology and the history of the oil production in Kuwait. Kuwait is a rich country because of the oil. All the labor is done by foreigners, the Kuwaities don't do regular work. They live separate from the guest workers. I don't think I saw any real Kuwaities while I was there. There are no taxes in Kuwait, construction, health care, schools, etc are covered from oil revenue. 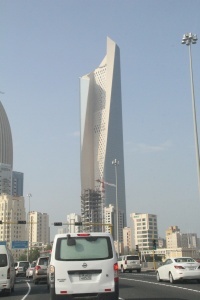 Kuwaities are actually in the minority, most of the people in Kuwait are foreign migrant workers. Kuwaities make up only about 30% of the population, the majority are migrant workers from countries like India, Pakistan, the Philippines, etc.